Grew up with Crvena Zvezda (Serbia) juniors. Made his debut with Crvena Zvezda during the 2001-02 season. Moved to Germany for the 2006-07 season, signed by NYP Braunschweig. Signed for the 2007-08 season by Koeln 99ers. Moved to Lithuania for the 2008-09 season, signed by Lietuvos rytas Vilnius. Moved to Spain for the 2011-12 season, signed by Baskonia Vitoria. Moved to Turkey on January'14, signed by Anadolu Efes Istanbul. Signed for the 2015-16 season by Darussafaka Istanbul. Moved to Serbia for the 2016-17 season, signed by Crvena Zvezda Belgrade. Won the 2008-09 and 2009-10 Lithuanian National Championship with Lietuvos ryats Vilnius. Won the 2016-17 Serbian National Championship with Crvena Zvezda Belgrade.won the 2004 and 2006 Serbia & Montenegro National Cup with Crvena Zvezda Belgrade. Won the 2009 and 2010 Lithuanian National Cup with Lietuvos rytas Vilnius. Won the 2009 Baltic League with Lietuvos rytas Vilnius. Won the 2017 Adriatic League with Crvena Zvezda Belgrade. Played the 2011 Lithuanian All Star Game. Has been member of the Serbia & Montenegro U-20 National Team. 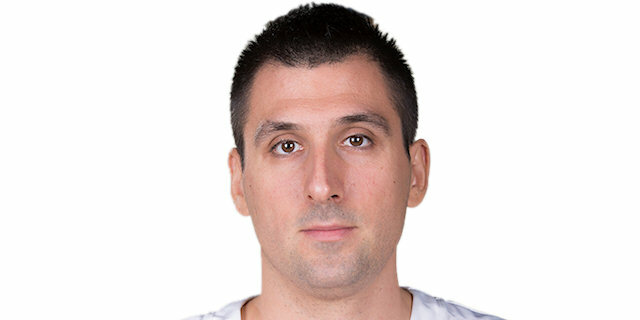 Member of the Montenegro National Team.